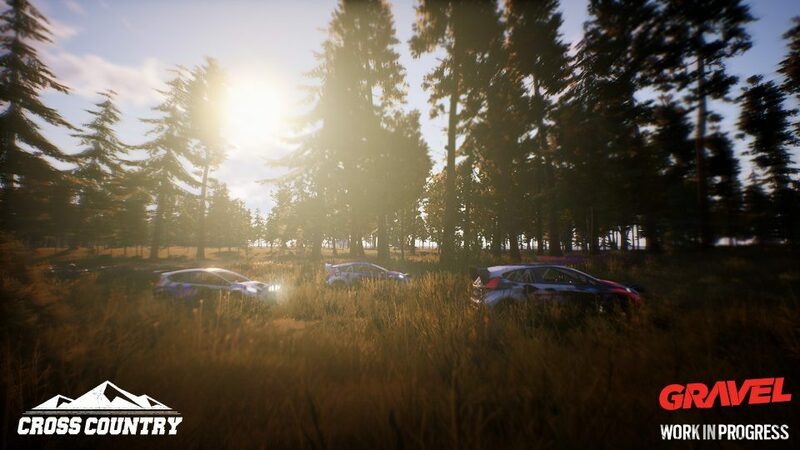 Gravel is an arcade off road racing game from Milestone. 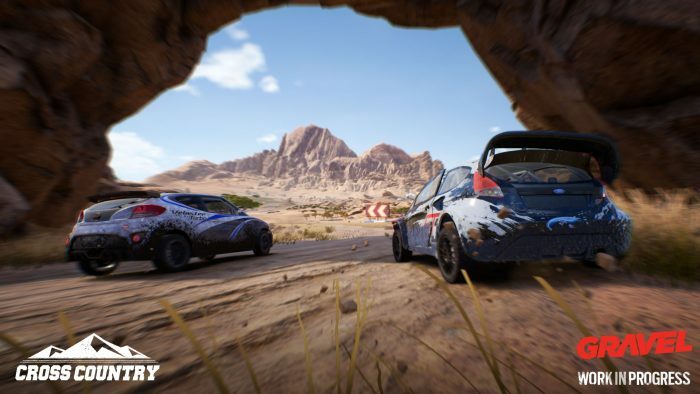 The game features a variety of race types and vehicles classes, not to mention tracks to keep things fresh and entertaining. My first job ever was working at Red Robin, the family friendly burger restaurant. Those familiar with it will know that it has a small room with a few arcade machines in it for the kids to play, or me after my shift. While I worked there we had an arcade machine for Off Road Challenge. I don’t know how many quarters I spent in this machine, as I loved it. 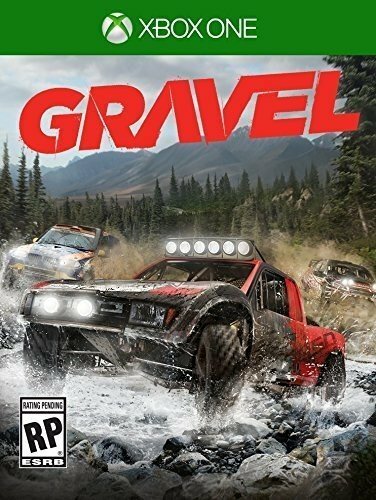 I would play it all the time, so when I found out that the arcade off road racer Gravel was coming out, I added it to the calendar. Watching videos and reading up on Gravel only want me to get my hands on to see if it would live up to Off Road Challenge (ORC) for me. 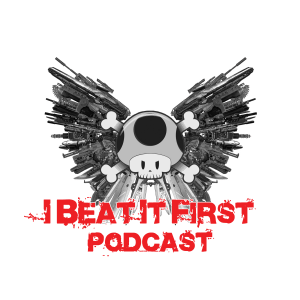 In the past year I’ve played Project CARS 2, Forza 7, Assetto Corsa, and a little bit of GT Sport. Those are all simulation racing games, so how would I like an arcade racing game? It turns out quite a bit actually, as some of the races did rekindle that love I had for ORC. 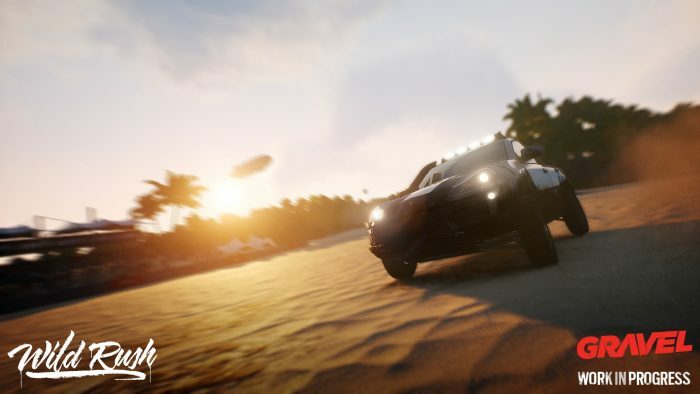 There’s something about just racing at high speed along beaches, wide open desert, and the forests of Alaska in a Trophy Truck, or later in the game’s campaign, a Group B rally car. It also features full wheel support, so you can get that old school arcade feeling if you really wanted to. 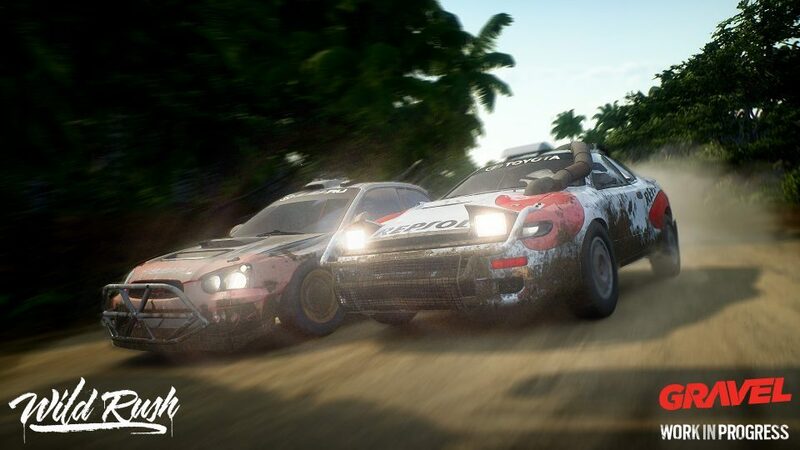 The game rewards you for style points for jumping, going on two wheels, driving at high speed, and my personal favorite, drifting. These style points combine with your place and difficulty settings to give you experience points to level up. Leveling up of course unlocks new vehicles and liveries. The checkpoint races were defiantly my favorite mode. Checkpoint are a point to point style race, with several, well, checkpoints, that you must pass through along the way. Miss the checkpoint, which is flanked by 2 inflatable light up tubes and you’ll be teleported back to it. Don’t worry if you run into one however, as they are inflatable and will just bend over and not slow you down or change your direction. There are also the usual lap races, which vary from stadiums, a favorite for trophy truck class, to rallycross tracks. There are two actual lap race modes, one is your standard complete x amount of laps, but Elimination is a different spin on this type of race. Elimination is closest to an Endurance mode, however it’s not about how far you can get in a set time, but how long you can survive not being in last place. In Elimination, a timer counts down, and every time it reaches zero, the person in last is eliminated from the race, until only one is left racing. There is also of course time trial, which needs no further explanation. My least favorite mode however, but I must admit the concept for it is interesting is Smash Up. In Smash Up, there are rows of signs throughout the course, laid out like Mario Kart power ups. Instead of getting random power ups, these signs are cycling through a green arrow and a red x like a slot machine, until finally landing on one as you approach. Go around them and you are transported back in front of them, hit a red x and get slowed down, or smash through a green arrow to be unimpeded. This requires changing your line at the last possible second, which is not so easy in a race on a loose surface. This was not my best mode by far. 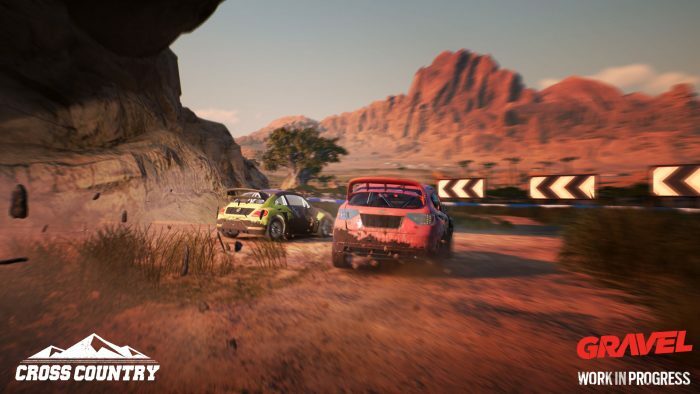 The vehicles in Gravel are varied as well, with several classes of rally cars all the way up to Group B, to Trophy Trucks and Dakar rally trucks. My favorite would have to be the Group B rally cars, followed by the trucks. The vehicles in each class will drive differently, with some being about all out speed and some being far more nimble. There are also plenty of different tracks, from several locales. 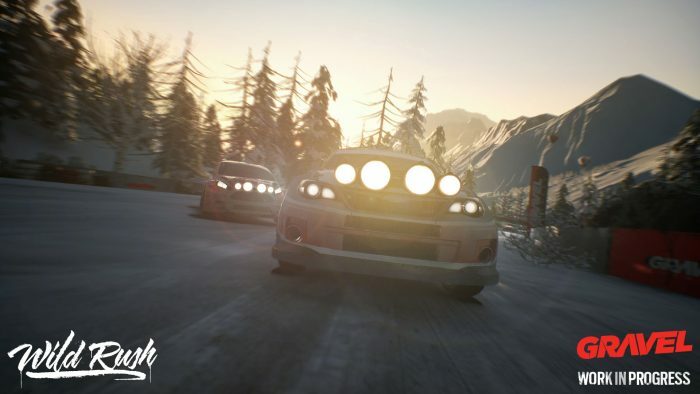 Race through Alaska as you go from high up in the mountains, and race through the forest down to the water’s edge. There are also wide open desert races, and of course beaches. Weather and time of day plays a huge factor as well. A heavy snow storm and heavy rain late at night makes it incredibly hard to see the track and adds an additional challenge to the game. Yup, that happened every time I raced the Alaska Pipeline Layout 2 track, in every class. The first time it crashed the game on my Xbox. This is a serious issue that they should have caught prior to releasing the game. It still did this after a 5gb post launch update to the game as well. Luckily this track didn’t come up very often, but it’s something that needs to be addressed.